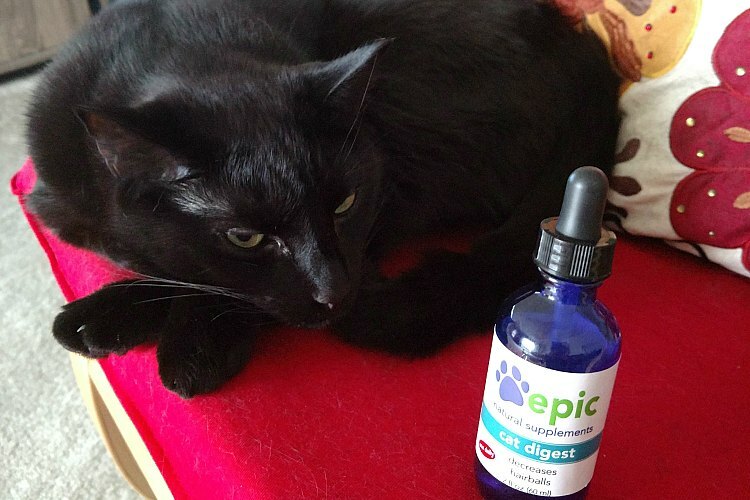 Epic Pet Health's mission is to provide safe, effective, easy-to-use, all-natural pet remedies to help pets regain and maintain optimal health. All of our supplements are odorless, tasteless and human grade. 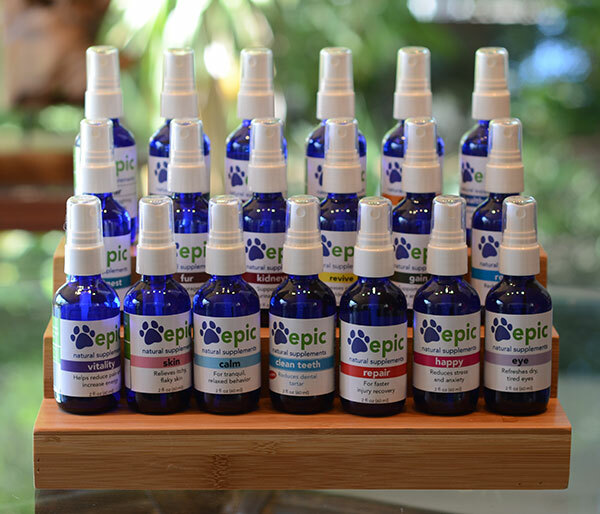 Epic Pet Health offers all natural, easy-to-use liquid products for dogs and cats that contain a unique blend of safe, holistic ingredients made from minerals and vitamin electrolytes in alkaline water. These are simply placed in a pet's food or water and are easily absorbed by the body to relieve arthritis, itchy skin, allergies, dental issues, digestive ailments, behavior problems, senior pet health disorders and more! 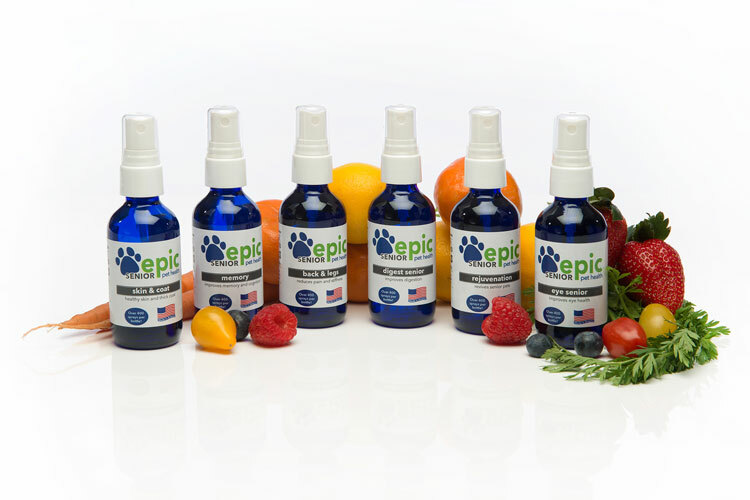 Epic Pet Health has just launched a great new line of natural pet remedies for senior dogs and cats. These incorporate many different formulas into one spray or dropper bottle to provide the extra support senior pets needs for arthritis, digestion, skin and coat, eyes, increased energy, faster recovery from ailments and other health issues unique to senior pets. 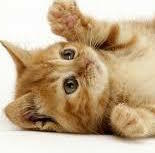 Does your kitty suffer from stubborn hairballs, constipation or other tummy and digestive disorders? Then Murphy highly recommends Cat Digest from Epic Pet Health. This odorless, tasteless, human grade remedy helps to reduce hairballs and improves digestion in felines. This all-natural remedy contains diluted vitamins, minerals and electrolytes in an easy-to-use spray. Epic Pet Health's odorless and tasteless supplements are all made in the USA, in Seattle, WA, in small batches with the highest quality ingredients. No Epic Pet Health ingredients are sourced from outside the USA! Our easy to administer vitamin supplements involve no mixing or rubbing. Just spray or place a few drops of a supplement on food and water. Also apply to pet’s body for faster, stronger results which are typically seen in one to 14 days. If you are not satisfied with this product, return it within 30 days for a full refund. We want your pet to feel better and live happier! Try us today and help your pet feel better and happier today and give yourself the peace of mind you deserve. Epic Pet Health is proud to be part of Hallmark's American Rescue Dog Show airing February 17 & 18, 2019. All pups were treated to Digest, Eye or Healthy Ear. Our products were included in the 2014 Oscar Nominee gift bag and reviewed by our friends at Catster! Epic Pet Health was also a finalist in the 2015 Martha Stewart contest for "Best Made Product in America". I am a civil engineer and holistic chiropractor. I started making supplements for my 17 year old dog in 2011 to help his arthritis pain and old dog cough. Lucas wouldn't take any supplements with a smell, so I created vitamin electrolytes because they were odorless and easily absorbed by the body. Luke's chronic arthritis pain and old dog cough quickly improved. I kept making other formulas to help his eyes, legs, teeth, and general health. I knew there were other desperate pet owners like me, so I started making supplements for other pets too. Then I opened my business, Epic Pet Health, in 2012. Many pets have been helped with skin and allergy conditions, stress, pain, and other maladies. The supplements were in the 2014 Oscar gift bag and have been mentioned on many websites, blogs, and TV shows including Ellen. The products were also a finalist in the Martha Stewart contest for "Best Made Product in America" in 2015. Lucas lived to be 19, mostly due to the supplements. He loved being sprayed. Because of him, many pets and people have found relief and happiness. Before using Repair, Scarlett, almost 16 years old, was having difficulty getting up from a sitting position and also getting up when she had been lying down for even a short time. Scarlett was also having problems jumping up on her favorite couch and any elevated area. Within 24 hours of spraying Repair on Scarlett’s legs and adding it to her drinking water, she was getting up with ease from a sitting or lying position and also jumping up on the couch without difficulty or hesitation. Repair has made a tremendous difference in Scarlett’s quality of life. I plan to continue to use Repair as part of Scarlett’s health and maintenance plan to support her continued good health. Scarlett is definitely a more playful and much happier cat thanks to Repair.